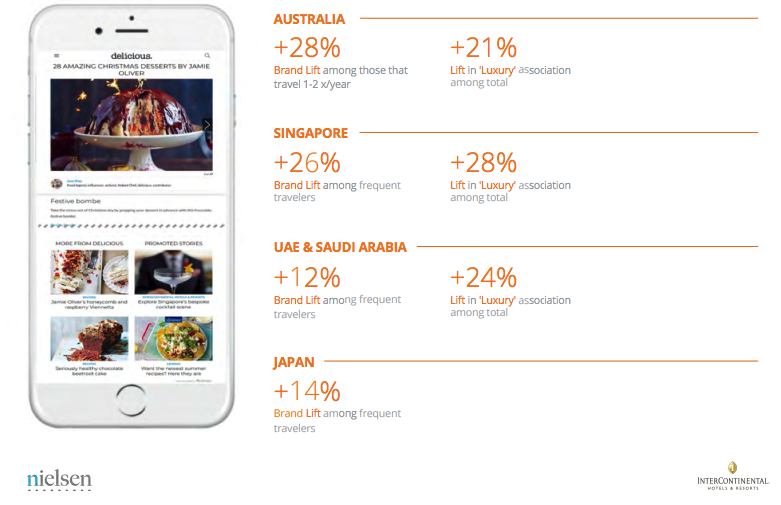 InterContinental Hotels & Resorts ran a content-led campaign across Australia, Saudi Arabia, UAE, Singapore, and Japan. InterContinental Hotels & Resorts ran a content-led campaign across Australia, Saudi Arabia, UAE, Singapore, and Japan. The goal was to drive consideration, preference and luxury association with the luxury hotel brand, particularly among frequent affluent travelers. As part of the strategy, Outbrain Discovery was used and a ‘True Engagement’ Brand Study was run with Nielsen to measure the impact of promoted content on perception and intended behavior through exposure. InterContinental Hotels & Resorts created and promoted valuable, relevant and consistent content to create emotional engagement with affluent experienced travelers and ultimately drive profitable consumer actions. Outbrain’s network was used to achieve that. Two groups were received – those who engaged with the content and those who did not. Both receive a survey questionnaire. Questionnaire results were analyzed and validated by Nielsen, illustrating lifts in key brand metrics with content exposure. As a result, the campaign was extremely successful in moving the needle on brand consideration, with the power of discovery and cost-per-click buying model enabling this to be achieved among the holy grail of travel audiences – frequent travelers. True Engagement© Brand Lift by Outbrain, in collaboration with Nielsen, measures the direct impact that content has on awareness and perceptions around brands and products. 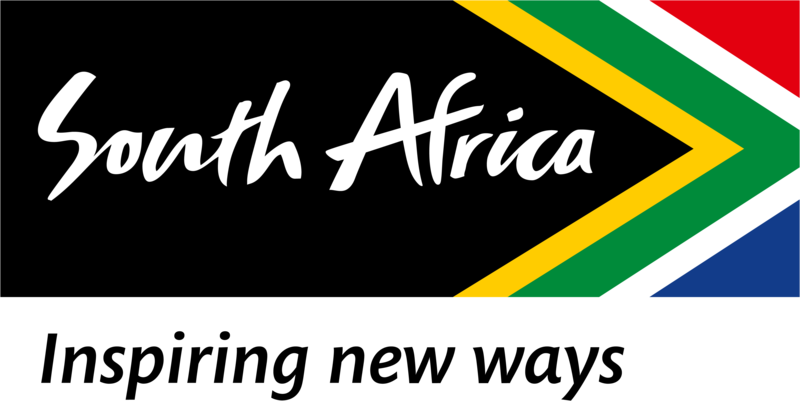 The study measures key metrics including Brand Awareness, Favourability and Attributes. 4,854 Internet users were surveyed globally between December 2017-February 2018.